The following items are found in the cold storage that have kosher symbols. ingredients Wheat flour, vegetable oil (palm) salt, may contain sesame seeds. 10. Peter Pan Cruncy / Creamy / Honey rost cruncy, reduced fat 25% less Fat than regular Peanut butter. U-K Kashrus Organization, Uriburu 774 4°B (1027), Cap. Fed. - Buenos Aires - Argentina (5411) 4951-8366; Fax: (5411) 4952-9422. We specially mention diabetics who generally suffer from hypertension. Half way through a human being's life, at around the age of 40 and above, is when we are usually recommended to decrease their sodium intake at a doctors visit. At first, we stops consuming salt, but will later revert the situation believing that “we are feeling better” and will take up the consumption of salt again as it is a difficult habit to break. That is why Genser has produced a line of products for each person’s needs. 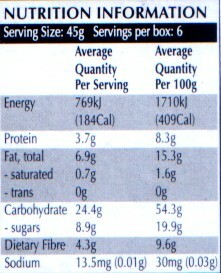 The Glycemic Index (GI) of food ranks carbohydrates based on their immediate effect on blood glucose (sugar) levels. Carbohydrates that break down slowly and release glucose gradually into the blood stream have a low GI and generally help control hunger and provide more sustained energy throughout the day. 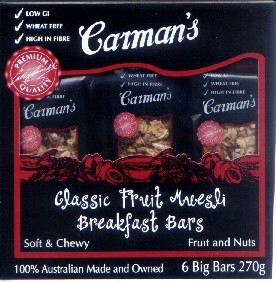 All of Carman's products are low GI. HoneyRun Proprietors' Reserve http://www.honeyrun.com HoneyRun is a family run operation established in 1982.HoneyRun Honeywines are made with simply honey, fruit juice, and yeast. We use no grapes, and we add no sulfites or preservatives. The alcohol ranges from 11% to 12.8%. All are Certified Kosher. Store in chilled refigerator. Sulfites are a commonly used preservative found in foods, alcoholic drinks (especially wines), and even in medications. They are anti-oxidants that are often used in salad bars to prevent the lettuce from browning and on dried fruits to prevent them from becoming very dry and stiff. About 1% to 2% of people will have an allergic reaction to sulfites, which can consist of nasal congestion and sneezing, skin hives, or wheezing and difficulty breathing. People who have asthma and/or allergies to aspirin are particularly sensitive to sulfites and could even have a serious anaphylactic reaction, in which there is severe swelling of the throat, tongue, and airway, which obstructs breathing. This spicy, very fruity wine is made by fermenting Cherries and Honey together without using sulfites or grapes. Serve chilled, before or after dinner, with fruit or desert. Honey run winery is located in chico California. Please don't drink and drive. Warning health issue: According to the surgeon general women should not drink alcoholic, beverages during pregrancy because of the risk of birth defects. Consumption of alcoholic beverages impairs your ability to drive a car or operate machinery and may cause health problems. - HoneyRun will NOT ship wine to under-age buyers: Delivery persons will check for proof of age 21 years or older for wine shipments. By placing an order for wine, you are representing that you are 21 years old or older. Cherry Honey wine - Alcohol 12.0% by volume No Sulfites Added contain Naturally Occuring sulfites. Elderberry - Alcohol 12.0% by volume. Beware also : Warning - Taking cider vinegar by sipping it during the day may very well help cure some of these allergies, however, it will ruin the enamel on the teeth to such an extent that it may be lost entirely. GrapeSeed - The natural way for feeling good is embodied by the Olitalia Grapeseed Oil. With its delicate and rare flavour, this oil is a perfect, natural companion to healthy and tasteful food. Best for cooking, Grapeseed Oil helps our bodies to keep in shape. It has no cholesterol, no additives nor preservatives. Its content is low in saturated fats, which are not easily assimilable by our body. 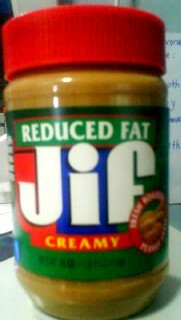 Moreover, it is rich in polyunsaturated fats, helping the work of our hearts. That's why Olitalia Grapeseed Oil is a true treasure from nature and our hearts' best friend. Market place a whole New supermarket Experience. Pepperidge Farm Chocolate chunk D 1 White chocolate Macadonia, 2. Double Oak chocolate, 3. Milk Chocolate; Milano D; Milano Mint D; Brussels D; Chossen D; Geneva D; Ginger Man D; Soft Barked Chocolated chunk D.
Most McCormick spices have kosher symbol check to sure Kosher symbols. Course Kosher salt - There altogether two main types of Kosher salt Flaked Salt and four-sided crystal or Diamond Crystal Coarse Kosher salt. Kosher Salt is salt without any additives, It is made in much the same way as table salt, except that it is raked continuously during the evaporation, giving it a lighter and flakier texture. kosher salt grains are larger than regular table salt grains, when meats are coated in kosher salt the salt does not dissolve readily It is use in making meat kosher by drawing out the blood. rice bran oil is produced from the rice bran which is the brown layer skin of brown rice. Company Name: Thai Edible Oil Co., Ltd.
Knorr , maggi kikkoman - from the internet search the following brand have some Kosher items but be sure to have logo so far in Singapore yet to find symbol. If you look at the product that is kosher you will see a kosher symbol follow by the alphabet next to it. Gebrokts - Matzo that came in contact with water after it was fully baked on the first seven days of Passover to refrain from eating. On the eighth day of Passover--which exists only outside the Land of Israel--the gebrokts stringency doesn't apply.On this last day of Passover, all feast on matzah-balls and matzah brei, and dip their matzah into soups and salads. Hechsher - (הכשר Hebrew: "kosher approval" , plural: hechsherim) means Kosher supervision. mark indicates the endorsing rabbinical authority. Mashgiach is a Hebrew word meaning supervisor, and generally refers to a person who supervises the kashrut of a kosher establishment. A mashgiach supervises the full range of kosher needs in a food service establishment. This establishment might be a slaughterhouse or an industrial food manufacturer, or an institution which serves prepared food (such as a caterer, hotel, nursing home or restaurant), or a retail establishment (such a butcher shop, take-out store, or grocery). The mashgiach usually works as the on-site supervisor and inspector, representing the kashrut organization or a local rabbi, who actually makes the policy decisions for what is or is not acceptably kosher. Sometimes the certifying rabbi acts as his own mashgiach; such is the case in many small communities. Kosher - "proper" or "fit" for use, particularly applying to food. To Koshering means to make something (food, utensil, equipment) kosher by using proper procedures prescribed by Jewish Law. Chalav Stam - is a term means that the Milk that meets the USDA set requirements, whose controls are considered sufficient to prevent any mixing of cow's milk with milk from a non-Kosher animal, and thus the milk is considered to be kosher. Kashrut or Kashruth (Hebrew: כַּשְׁרוּת kašrûṯ) or "keeping kosher" (Hebrew: כָּשֵׁר kāšēr) is the name of the Jewish dietary laws. Food in accord with halakha (Jewish law) is termed kosher in English, from the Hebrew term kasher, meaning "fit" (in this context, fit for consumption by observant Jews). M = "Meat", "M" or "Glatt" printed near the kosher symbol on the food package indicates the product is kosher and contains some meat or meat derivative. D = "Dairy" or "D" printed near the kosher symbol on the food package indicates the product is kosher and contains some milk or milk derivative. DE = Made in diary equipment. Observant Jews do not eat dairy products with meat. To ease identification of dairy products (like chocolate, which may or may not contain milk), a "D" or the word "Dairy" accompanies the hechsher. Products which don't contain milk but are made on machinery that was previously used with milk may have "DE" or Dairy Equipment accompanying the hechsher. "F" = printed near the kosher symbol on the food package indicates the product is kosher and contains fish ingredients. "Pareve", "Parev", or "Parve" = printed near the kosher symbol on the food package indicates the item is neither meat or dairy.Some foods may be eaten with meat or with milk. "P" = printed near the kosher symbol on the food package does not stand for pareve, but instead it means the product is kosher for Passover and all year round. D-P means dairy and kosher for Passover and all year round. M-P or Glatt-P means meat and kosher for Passover and all year round. F-P means fish and kosher for Passover and all year round.